Photo by Margaret Buffie - "Snow Flower Cave"
And windy hollows drift that shall your might o’erthrow. Shall leave no trace of your stern workmanship. 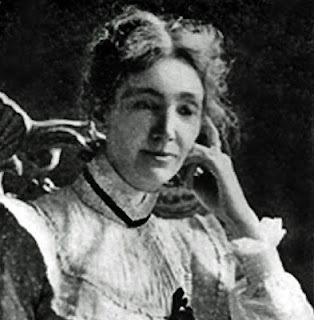 Thanks to Keryn Huenemann for introducing Agnes Ethelwyn Wetherald to me on the blog "Canada's Early Women Writers" http://ceww.wordpress.com/ , and to this poem for my February blues!! I love how the picture beautifully illustrates the poem. Thanks for sharing. I had not heard of A. E. Wetherald before this. I had not heard of her either, now I shall look her up. I wonder if she and Lucy Maud Montgomery ever connected. Thank you for sharing this! I hadn't heard of her until I saw this poem on Karyn's blog about early Canadian women writers. I've been researching a few of these writers now. Wetherald's parents were English Quakers which interested me, as one long line of my grandmother's (in England) were also Quakers. I thought this was such a strong poem!